This Is Going To Make it a WHOLE LOT EASIER For You Right Now. You won't have to guess at all the things you need to do. You won't have to stress about how to get all the JV partners you want on board without irritating them. You won't have to go through all the trial and error that otherwise takes years to master. You won't have to spend money on testing all the moving parts and just hoping something works right. You won't ever have to worry again about how to go from point A to point Z when you have a new product to offer the world. You WILL have an amazing sense of accomplishment when you see the steady stream of sales ring through your PayPal account as your affiliates and JVs promote YOUR product to their lists! This video course teaches you unique strategies for launching your product WITHOUT the typical "product launch". 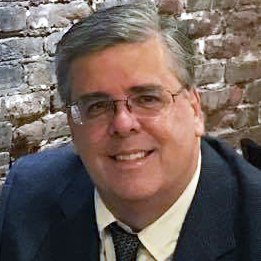 Pat takes you through his 5 strategies for selling new and "digital dust" products, none of which require expensive or work-filled launches. This course includes a case study showing how Pat made $4,260.07 in sales, over a holiday weekend, by spending $0 and NOT launching a product. 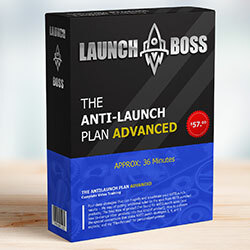 Here are four deep strategies that can magnify and accelerate your ANTI-Launch results. You'll learn Pat's way of getting additional sales on the spot from ANTI-Launched products; The best type of product he's found for ANTI-Launch sales (and how to change other products into that kind of product); How to cultivate the special connections that make ANTI-Launch strategies 3, 4, and 5 explode; and my "FlexiProcess" for personalized promos. 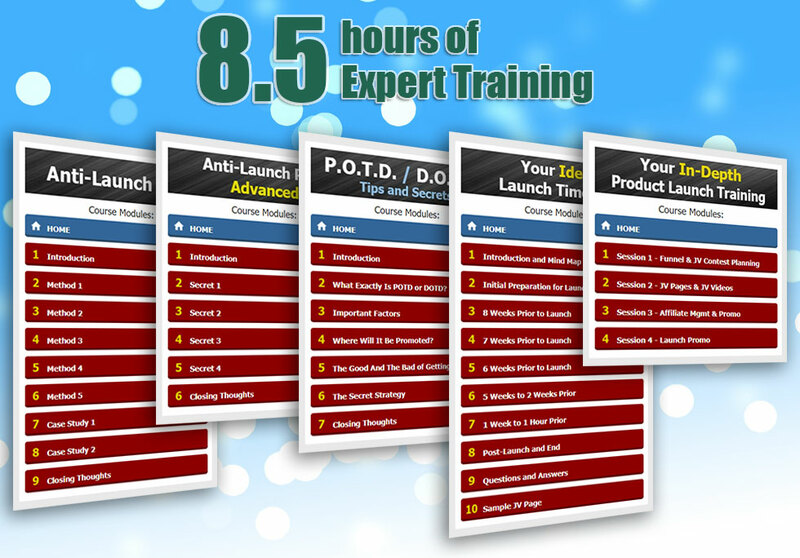 Get ready for a powerful training session on exactly how to get chosen for "Product Of The Day" and "Deal Of The Day" from the two major marketplaces. Pat knows exactly what it takes, and he reveals his secrets with you. You'll get his best tips for increasing your chances of achieving JVZoo Product of the Day and WarriorPlus Deal of the Day, based on his actual experience in managing many dozens of launches. Pat walks you through his own mind-map of everything that needs to be done during a launch, when to do each thing, and why. Follow this timeline and you'll have no more underperforming rushed launches, and you'll have plenty of time to get everything done. You won't have tasks falling through the cracks. This training includes Pat's actual mind-map in .xmind and .mm mind-map software formats, plus a PDF containing the whole timeline. Your offer should make buyers want to buy and affiliates want to promote. Upsells should MAKE SENSE, from both usability and pricing standpoints. Even though upsells are optional, they should be "no brainers" to the buyers. Planning your sales funnel properly can increase your bottom line in multiples. Pat goes through different product funnels that are proven to have great potential for success. For the affiliates, you need to plan launch contest prizes. These can go far on bringing in the big affiliates who can make mega sales for you. Pat explains ways to plan your prizes and a few problems to watch out for. The JV page is your sales page for affiliates. Pat breaks down an effective JV page, showing everything that should be on there, including how the sales copy should work. You'll see what works, and what definitely doesn't work. Then, he'll break down how to shoot a quality JV video. Pat shoot videos all the time, and he'll show you the setup he uses and how you can duplicate it on a budget. It isn't hard to get a good quality JV video, you'll see! 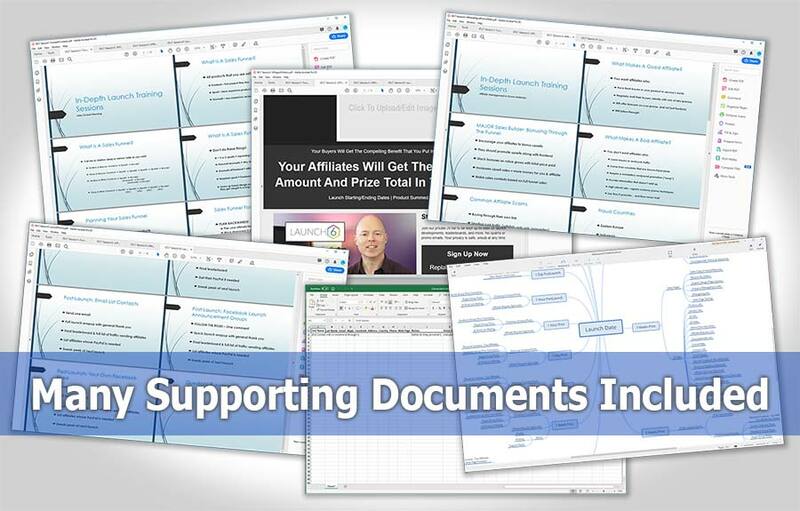 Affiliates are the lifeblood of your launch. Without them, you have no sales. In this training, Pat covers the best ways to reach out to affiliates (and the ways you DEFINITELY want to avoid). You'll learn the way he vets affiliates to decide who gets Instant Commission, who gets Delayed Payment, and who gets denied. Making mistakes on this can lower your sales at best, and destroy your PayPal account at worst! Then, Pat will go into promo materials. You'll learn what the best affiliates are looking for, what type of swipes they need, and if additional media like graphic banners and ads are really necessary. Pat gives you some awesome copy writing tips for the swipes, as well, for the swipe sequence that I've found works. Our final week will cover Launch Promotion -- The best ways to get the word out about your launch. You'll, of course, already have the large collection of Facebook Groups and calendar/announcement sites from my No Brainer Launch Promotion Cheat sheet. But here, Pat helps you craft the most effective message to post there and elsewhere. You'll learn how to find the sweet spot of giving affiliates just enough info to draw them in to your JV page, where the real "sale" happens. And how to keep them motivated through the length of your launch. Pat's Five Courses are FILLED with gold nuggets and insider information. You will refer to these training videos often. Yes, I Want Access to All Five Launch Boss Courses! Earnings Disclaimer: We don't believe in get rich programs - only in hard work, adding value and serving others. 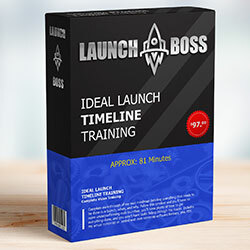 Launch Boss training is intended to help you improve your business skills and encourage you to take action so you can build long term success. A lot of work and discipline is necessary just as in any real business endeavor. In promoting this and all our programs we use numbers that are illustrative only and we cannot and do not make guarantees or give professional or legal advice. While the information presented to you is based on real experience over many years, you are not guaranteed to get the same results or earn an income. The amount of success you realize is up to you and your own efforts and willingness to learn and implement. Thank you.